One of of the foundational criminal charges in New Jersey is assault. Both Aggravated Assault and Simple Assault are criminalized under N.J.S.A. 2C:12-1. Under 2C:12-1, there is a broad definition of what constitutes an assault and our laws can be difficult for someone unfamiliar with the process. For those who would like a more simplified explanation of what a Simple Assault charge involves, this page will provide you with that knowledge. If you are charged with Simple Assault then your case will be handled at the local municipal court of the municipality where the offense occurred. Also, if convicted, you face up to six (6) months in the Burlington County Jail, along with fines, probation, community service, a criminal record and the possibility a Restraining Order. Do not take your assault charges lightly, contact the law firm of Proetta & Oliver. Our firm is comprised of former New Jersey Deputy Attorneys General and criminal defense trial attorneys who have made criminal law their primary focus. If you have been charged with simple assault, aggravated assault, terroristic threats, harassment, possession of a weapon for an unlawful purpose or any other criminal offense, call 609-850-8284 today for an immediate consultation with an attorney. Our office is conveniently located so that we are readily accessible to our clients. What is Simple Assault in Moorestown, NJ? Can I Go To Jail for Simple Assault in Pemberton NJ? Technically, yes. However, for an individual with no criminal record, there will be a presumption against incarceration. 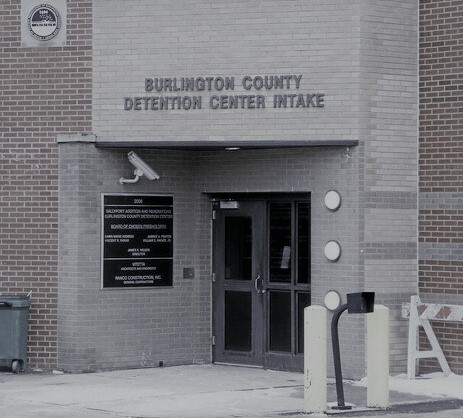 If convicted of simple assault in Burlington County, you may be sentenced to six (6) month in the Burlington County Jail, $1,000 fine, community service, probation and the creation of a criminal record. If you were only charged with simple assault, which is a disorderly persons offense, then your matter will be handled by the municipal court where the incident occurred. Depending on your criminal history and the circumstances of your case, you may wish to apply for a diversionary program like the Conditional Dismissal Program. However, if your simple assault charges involved a family member and was an act of domestic violence, then you are not eligible for the admission into the diversionary program in New Jersey known as the Conditional Dismissal Program. Can My Wife Refuse to Testify in a Simple Assault Case Against Me? New Jersey recognizes certain privileges that permit spouses to refuse to testify against one another. One of the most common situations involving simple assault is in the context of Domestic Violence. If you and you wife / husband has an argument or altercation that involved some type of bodily injury, police may file criminal charges. The police officers may even file charges when the victim begs them not to. In these scenarios, unless the Prosecutor has a witness who actual saw the alleged incident or an admission from the defendant, the Court will have difficulty finding proof beyond a reasonable doubt that there was a simple assault. The Prosecutor cannot force the spouse (whether or not they are the victim) to testify against their husband or wife. If you have a case or criminal charge for simple assault involving a family member, contact our offices today for a complimentary consultation. Thanks to New Jersey’s new Bail Reform, more and more defendants are being released pretrial without monetary bail. However, one of the repercussions of this new bail reform system is that individuals charged with domestic violence simple assault charges are being detained pretrial. This means that defendants facing disorderly persons offenses that typically only result in a minor fine are being forced to remain in jail for weeks or months without bail. Before the court can rule on any pretrial detention motion by the Burlington County Prosecutor, a Detention Hearing must be conducted. For more information and legal representation at a detention hearing, please call (609) 850-8284 today. At Proetta & Oliver, we understand that every case is different. However, we treat each case with the utmost care and attention, as should any competent attorney. Our clients understand that we are working together towards the best outcome possible. A defendant should never feel intimidated and discouraged by their lawyer. For this reason, we make ourselves available to our clients 24/7. Regardless of your concerns, we are available to discuss the matter with you or your family. For an immediate consultation today about your criminal charges, call (609) 850-8284. The initial consultation is provided free of charge.